Jakarta Special Region has lots of recommended tourist spots to explore. For those visiting Cipayung Sub-district, they should drop by in Indonesian Transportation Museum. The government constructed the building in retaining, collecting, researching, and displaying the history and development of national transportation. Today, it is well-managed by the Ministry of Transportation and becomes an interesting vacation destination for tourists. According to history, the construction began in 1984 and it was conducted by the wife of the 2nd president of Indonesia. When it is about the inauguration, it was in 1991. The gates and fences of the museum are predominantly blue. It also features several modules and buildings, one which the guests can explore. On the top of the main gate, there is a symbol of Ministry of Transportation. No wonder, it was under the supervision of such department. 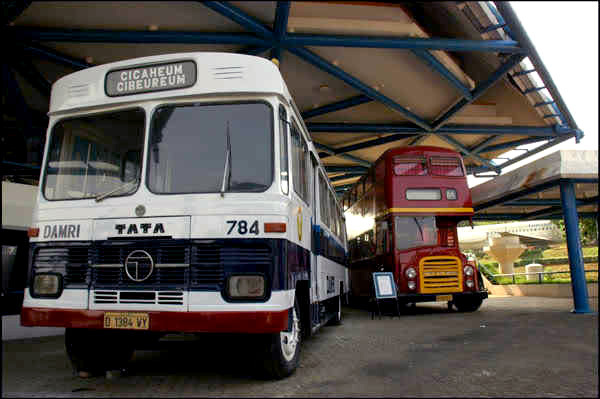 Inside the museum, visitors can view numerous types of historical transportations and their importance to the nation. Moreover, the government provides it as the center of education and recreation for tourists. Not to mention the environment is clean and neat, so it would be quite comfortable for visitors. The fact is the exhibitions are done both inside and outside the museum. There are several halls, which are called modules. These include the main, land, air, and sea module. Also, the management displays many forms of vehicles, including diorama, photos, miniatures, and the real ones. When it comes to the guests’ favorite attraction, it is definitely Indonesian traditional vehicles. For examples, there are Andong, Cikar, Perahu Layar, Bendi, and Becak. All of them are unique and valuable. They also become wonderful objects for photography, so carrying a camera is a must. In the land module, visitors can see numerous types of land transportations, including traditional and modern ones. In fact, there is Cikar Damri, which was the first armada of DAMRI and had a significant role during the independence of Indonesia. At that time, it was used as a military logistic vehicle both in Mojokerto and Surabaya City. Aside from it, there is also an old locomotive, bicycles, etc. The land module is only the beginning, as tourists have other places to explore like air and sea modules. In the sea module, visitors can learn the presence and service of marine transportation. These include passenger ships, floating decks, containers, and much more. What about the air module? Well, it displays planes, airport equipment, etc. All of them are also worth an observation. Next, it is time to visit static exhibitions, which are located outside the museum. It shows historical locomotives and buses. Also, an old lighthouse resides in that area. It is more than 100 years old, in fact. Here is the fact. The museum is located in TMII Raya Street, East Jakarta City. Travelers only need to take either a bus or taxi to Cipayung Sub-district. For outsiders, it is better to head to Soekarno-Hatta Airport first. Later, they might continue the trip to the museum.